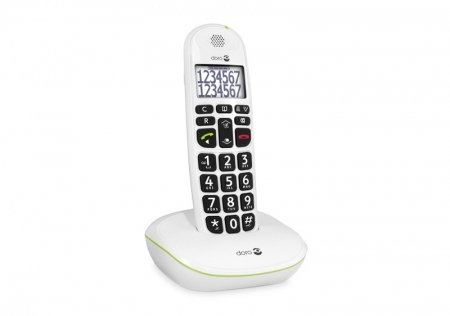 This cordless phone will give you total peace of mind whenever you call as it has an auditory system that will tell you, through a voice, which key you have pressed. Thanks to this device, you will never dial the wrong number. In addition, it includes a large, backlit, high-contrast screen on which you can see the numerals easily without straining your eyesight. A home landline generally lacks features that adapt to those with visual problems, but this specific model can help you if you are blind or visually impaired. For blind people, it is wonderful to enjoy the experience of being able to hear the name of the key you are pressing without the worry of being mistaken. If you have low vision, this device is ideal as you can use the voice and rely on the large numbers, or vice versa.